Three different materials sympathetic to both the design scheme and the family’s use. We supplied and installed three different materials in this family home. 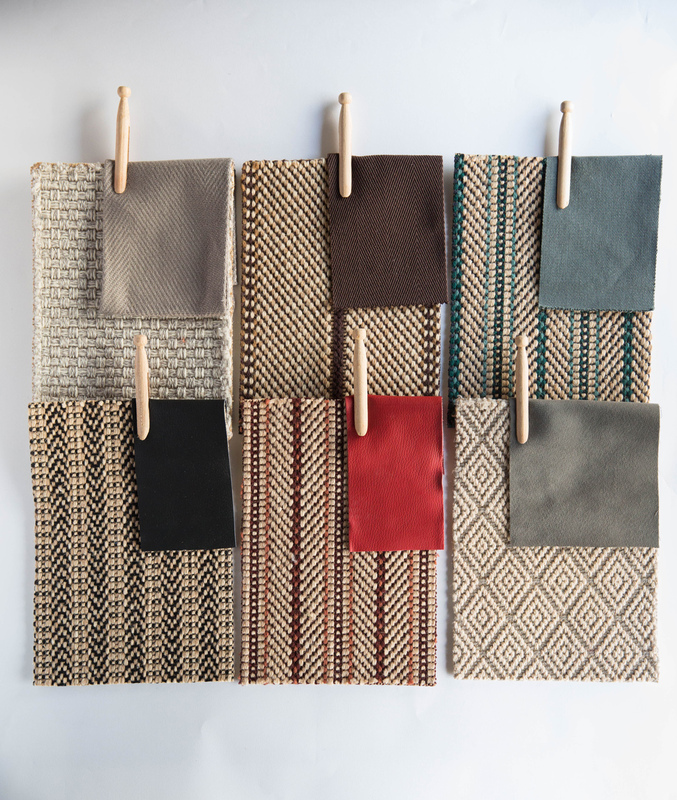 Bold patterned, flat woven runners were requested from ground to first floor. However, traditional narrow width materials which we might often use were ruled out due to the unfavourable number of joins that would be required on fully fitted stairs and landings. 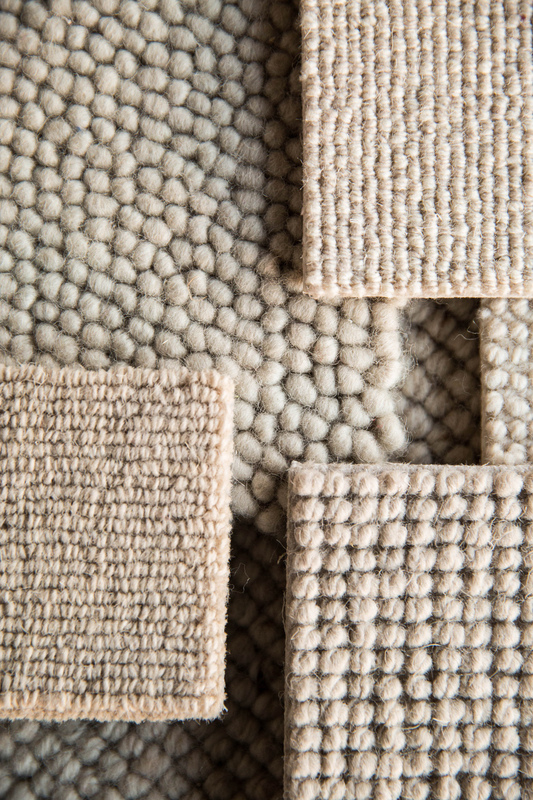 After extensive research we discovered a collection of four metre wide flatwoven wool carpets from Portugal. This allowed us to cut the broadloom carpet down into runner widths and edge these in our workshop with a complimentary cotton border, whilst other areas could be fitted without joins, so as to give a seamless passage from one space to another. In the main bedrooms a more indulgent loop pile carpet was sought and this was chosen from a comprehensive collection we presented to our client. Guest bedrooms and a cinema, among other rooms, were fitted with a smart, robust basket weave sisal to complete the collection of natural textures. Installation was carried out in stages on a very busy site. Particular consideration had to be given to the subfloors where both sisal and flatwoven wool carpets were fitted by a ‘double-stick’ method. Uneven levels were corrected in doorways adjacent to other hard floorings so that smart nickel thresholds could provide that finishing touch. We have worked with Warp & Weft for many years and have always found them to be excellent to work with and clearly have a lot of knowledge in their field. They always provide competive pricing, lots of interesting carpet and rug suggestions, are responsive to enquiries and provide a high end service to our clients. We cannot recommend them highly enough. Flatwoven broadloom carpet was fully fitted in some areas and converted into stair runners with a complimentary cotton taped edge. 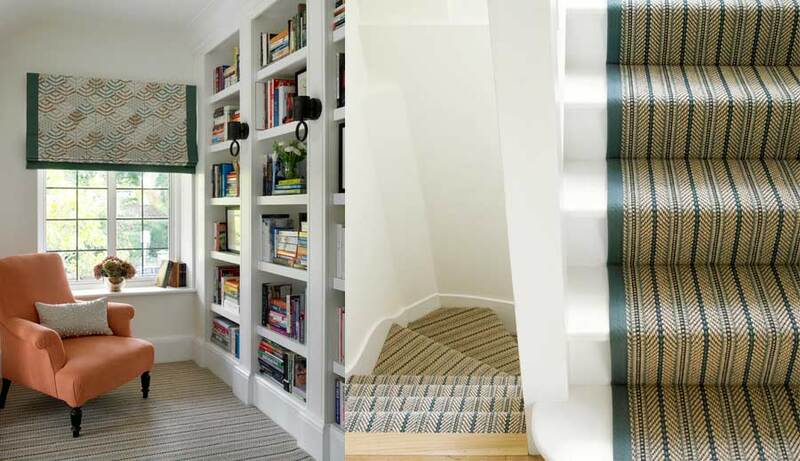 Carpet was cut to shape on site to allow runner shape and design to follow the turning stairs. Soft 100% wool loop pile carpet was fitted in several bedrooms. Smart sisal flooring in warm grey tones was installed to basement rooms. Subfloor preparation including adjustment of levels was essential to produce a perfect finish.